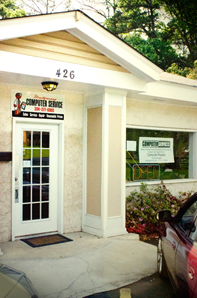 Montgomery Computer Service offers computer repair of the highest quality and very reasonable prices. With our fast, friendly and affordable service, we make sure you leave with a smile. We offer services such as full repairs on laptops and desktops, cell phone consultations, in home and office networking installations or repairs and a whole lot more. Call us or come on in to see the best technicians in town. We are open Monday through Friday, 9am – 5:00pm. Call for other service prices.